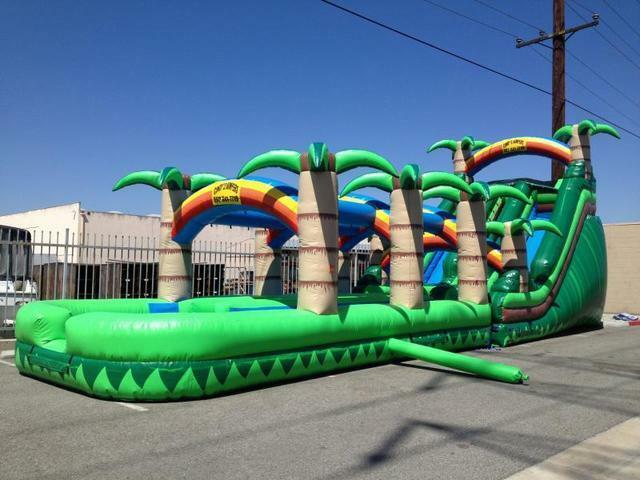 Our Giant Green Monster Tropical Dual Water Slide and Slip and Slide connected together to make a huge water slide. This water slide is a Monster! This water slide is recommened for kids 7 years old and older to adults. Requires a water source nearby to fill up the pool. Water slide must be placed on grass, or if placing on cement a foam mat will be required to rent additionally to place under pool area for safety.